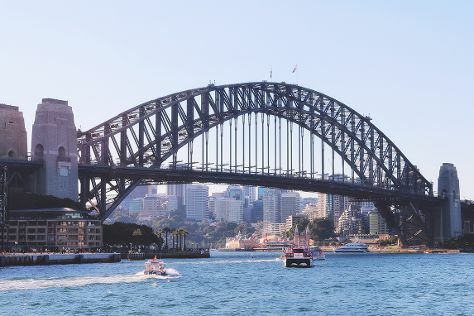 Kick off your visit on the 14th (Sun): take a stroll through The Rocks, take in the views from Sydney Harbour Bridge, then admire the landmark architecture of Sydney Opera House, and finally admire the natural beauty at Royal Botanic Garden Sydney. On the 15th (Mon), you'll have a packed day of sightseeing: enjoy the sand and surf at Bondi Beach, get up close and personal with brilliant marine life at Sea Life Sydney Aquarium, and then wander the streets of Darling Harbour. To find other places to visit, reviews, more things to do, and tourist information, read our Sydney holiday planning tool . Kuala Lumpur, Malaysia to Sydney is an approximately 11-hour flight. The time zone difference moving from Malaysia Time (MYT) to Australian Eastern Standard Time (New South Wales) (AEST) is 2 hours. Traveling from Kuala Lumpur in July, expect Sydney to be much colder, temps between 21°C and 9°C. Cap off your sightseeing on the 15th (Mon) early enough to travel to Brisbane. 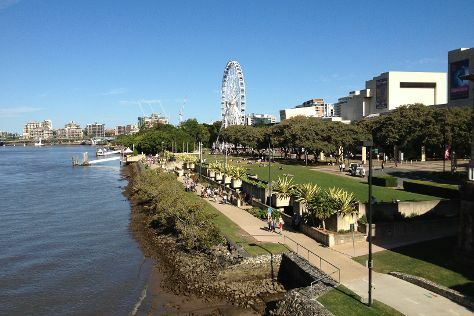 On the 16th (Tue), stroll around Roma Street Parkland and then let the kids burn off some steam at South Bank Parklands. To find ratings, traveler tips, other places to visit, and tourist information, read Brisbane travel route planner . Fly from Sydney to Brisbane in 4 hours. Alternatively, you can do a combination of flight and bus; or drive. In July, daily temperatures in Brisbane can reach 24°C, while at night they dip to 11°C. Wrap up your sightseeing on the 16th (Tue) early enough to travel to Port Douglas. Start off your visit on the 17th (Wed): take a tour by water with Boat Tours & Water Sports. For more things to do, where to stay, reviews, and tourist information, refer to the Port Douglas trip planning website . You can do a combination of flight and shuttle from Brisbane to Port Douglas in 6 hours. Alternatively, you can do a combination of bus, flight, and shuttle; or drive. Plan for somewhat warmer temperatures traveling from Brisbane in July, with highs in Port Douglas at 30°C and lows at 20°C. Finish your sightseeing early on the 17th (Wed) to allow enough time to drive to Cairns. Start off your visit on the 18th (Thu): see some colorful creatures with a scuba or snorkeling tour. Get ready for a full day of sightseeing on the 19th (Fri): admire the natural beauty at Botanical Gardens and then tour the pleasant surroundings at Esplanade Boardwalk. To find ratings, where to stay, maps, and more tourist information, refer to the Cairns tour itinerary builder . You can drive from Port Douglas to Cairns in 1.5 hours. Other options are to take a bus; or take a shuttle. Expect a daytime high around 30°C in July, and nighttime lows around 20°C. Wrap up your sightseeing on the 19th (Fri) to allow time to travel back home.